I am in need of help. 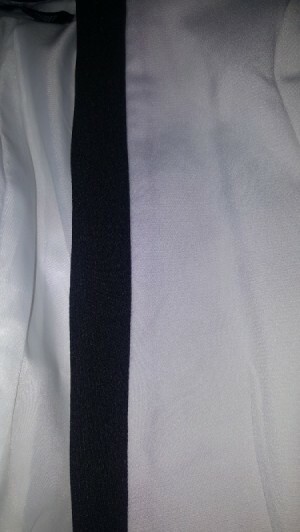 I have a white polyester blazer with black lapels, and the black has transferred onto the white in patches that look purple all over the blazer. 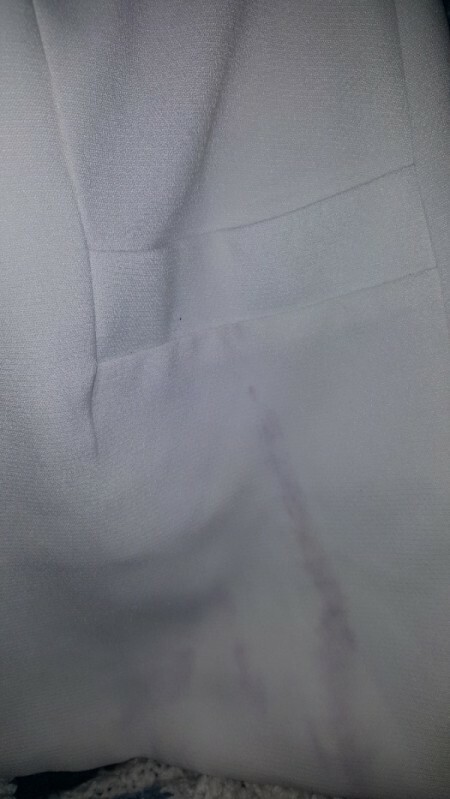 Is it possible to remove the purple patches without disturbing the black lapels on the blazer? I haven't even been able to wear the blazer yet.